Automatic Mesh Generation : Slabs are automatically discretized into well formed quadrilateral "not triangular" elements at a specified mesh size. Beams are automatically discretized. Thick Plate Modeling : The thick plate method of RISAFoundation provides more realistic results than the thin plate modeling procedure found in other products. Comprehensive Rebar Calculations and Detailing : RISAFoundation gives you the freedom to design and detail a slab in any direction. Grade beams, pile caps and spread footings are automatically designed and detailed as well. Rebar schedule and DXF export are also available. RISA-3D and RISAFloor Integration : RISAFoundation excels as a stand alone application. Its full integration with the RISA Building System brings productivity to a higher level. 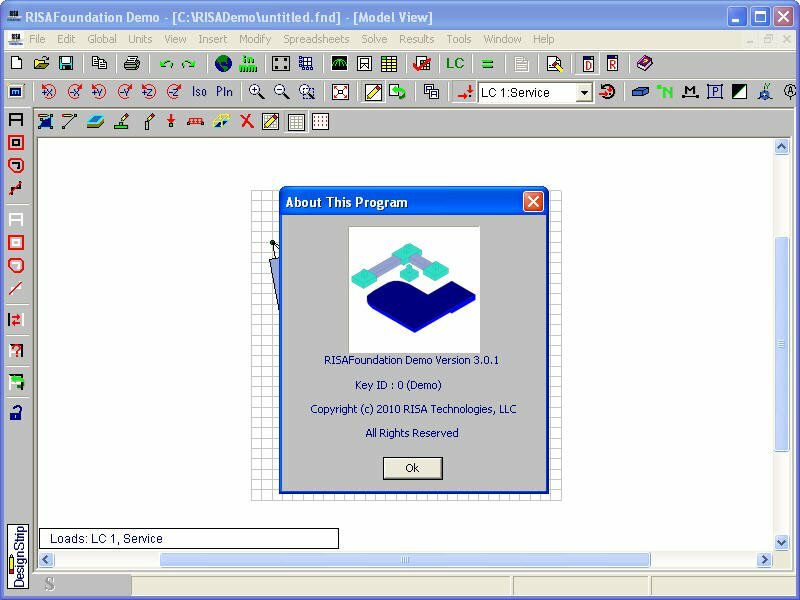 Manage all project footings in one model, in one file, and within the same environment as your structure. All loads are automatically applied and all footings are optimized at once. 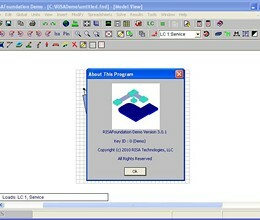 * RISAFoundation download link provides demo version of the software. RISAConnection allows you to quickly build steel connections using a quick connection dialog box with pictures and descriptions. No one has rated RISAFoundation yet. Be the first to rate this product.